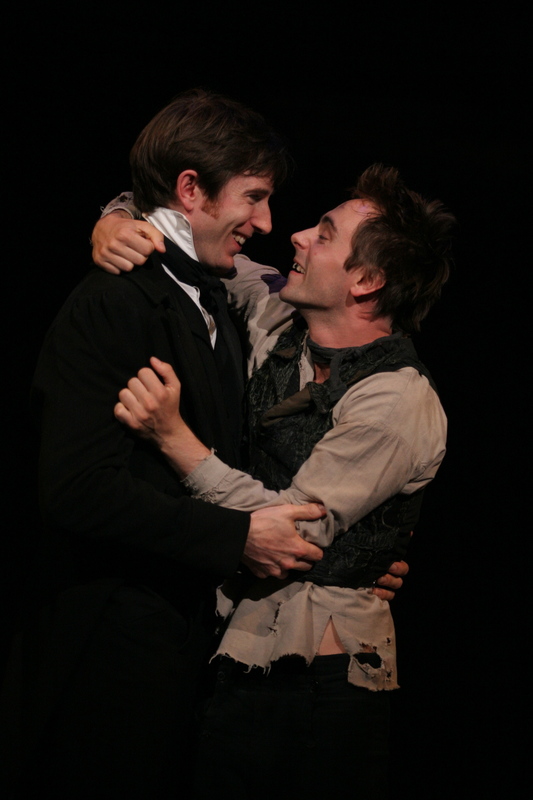 Daniel and David Dawson (as Nicholas and Smike) in the Chichester Festival Theatre production of The Life and Adventures of Nicholas Nickleby Parts I and II. 2006. In 2006, Daniel took the title role in the barn-storming adaptation of The Life and Adventures of Nicholas Nickleby Parts I and II at the Chichester Festival Theatre. CFT was looking for a way to re-establish its credentials as a power house of theatre and under the stewardship of Jonathan Church and Alan Finch came up with this massive piece of work. With a largely unknown cast, it created a true ensemble and under the directorship of Philip Franks and Jonathan Church it produced nearly 7 hours of unmissable theatre. With full houses often watching a matinee Part I then (after a picnic) an evening Part II, an interaction between players and audience was generated that almost never exists in theatre. The audience felt like they owned the play and the standing ovations at the conclusion were truly felt. The show was such a critical success it returned the following year to close the season before embarking on a UK tour, a West End run (in the Gielgud Theatre, Shaftsbury Avenue) and a season in the Princess of Wales Theatre, Toronto. Daniel was nominated for Best Performance in a Play at the TMA Awards 2006. David Dawson was nominated for Best Newcomer at the Oliver Awards 2007.